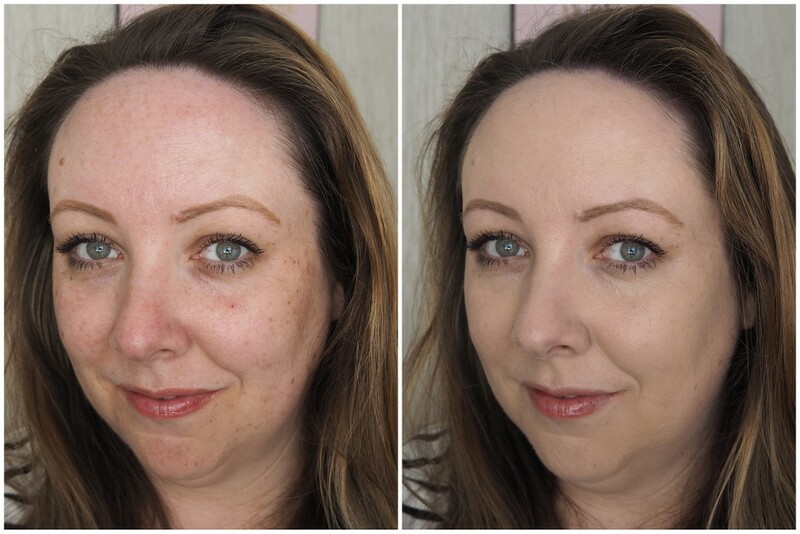 Giorgio Armani Power Fabric Foundation review, before & after photos! You might've heard me mention once or twice my pure love for my Giorgio Armani Luminous Silk Foundation and when I recently finished my bottle, I put it on my list of things to buy on my holidays. It came to holiday time and when I was in the duty free, what did I do? Did I repurchase the Luminous Silk? No. No I did not. I knowwwwww! Shurrup yew. I took a notion and went rogue, buying the Giorgio Armani Power Fabric Foundation. And to make things even wilder, I bought it without researching, without swatching, without any kind of googling or review reading. I'd not heard much about it at all really and don't know what came over me but I when a notion takes you, you have to go with it. I've bought things before without researching and it hasn't worked out, but I'm so relieved that this did! 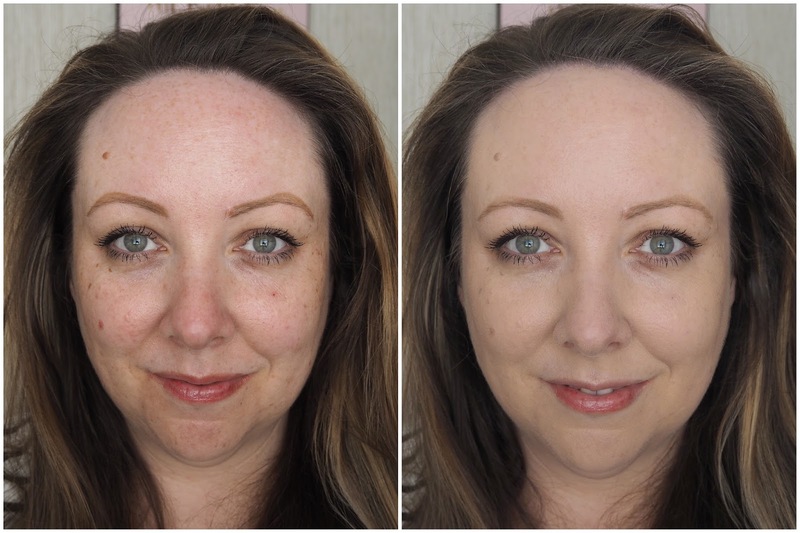 The formula is thicker than the Luminous Silk Foundation and where I've been known to use two pumps of Luminous Silk on days where I want a bit more coverage for my giant mush, two pumps of Power Fabric is way too much. One and a bit pumps does me just grand and you'll be able to seen the photos below the kind of coverage it gives. Also, it's worth noting that in Luminous Silk, I'm shade 5 and in Power Fabric, I'm 3.5, so if you're buying online, don't automatically buy the same shade. On to the nitty gritty now. We're talking medium coverage and it's buildable too to a higher coverage. But like with most of the foundations I use, I generally leave it at the first layer, and if I do need something extra, I tend to just apply it to my cheeks and chin, but for the photos in the post, I've used a pump and a bit of product for one even layer. It gives a really natural finish despite the coverage, and it has a soft luminosity to it, which takes the edge off the matte factor. It also feels really lightweight on the skin, but there is a slight tackiness to it that I have to set with powder, just for my own sanity. As an oily skinned person, I can't feel comfortable if I can feel any kind of moisture on my face. I love when my skin feels matte, but doesn't look flat or cakey. That's not too much to ask is it? I've applied it with a couple of foundation brushes but have found that the best thing to give a flawless application is the Beauty Blender. I had the same thing with my Charlotte Tilbury Magic Foundation and my Estee Lauder Double Wear. Using brushes is grand with them but a sponge is where the magic happens and it just gives the illusion of beautiful skin. I find that about 4-5 hours after I apply it, it seems to look even better on my skin and about 6 hours after initial application, it starts to break down slightly on my nose, and I mean slightly. I'm being really picky just because of the price! But by the end of the day, it still looks gorgeous on and a little dab of powder helps it stay longer if I'm heading out after work. When I first used this, bits of my skin were a bit dry and it did cling to those bits, wrecking my head altogether. But now it sits perfectly on me. So if you've normal/oily skin, this will work better for you than if you'd dry skin. Now, it's €49, but I got mine in The Loop for €34. So if you're off on holidays anytime soon and want to save a few bob, that's where you get it. I'm going to continue using it this summer as I think it's such a beautiful foundation and when I finish the bottle, because I will absolutely finish it, I'd be happy to pay €49 for it, just because it's a truly gorgeous base for me and my skin.